Hi, stampers! Here's the baby card(s) for the baby boy for the shower. After I posted the girl's card then I remember I needed to make one for the baby boy too. I made 2 so I can have 1 for use the next time. Thank you for visiting! Have a wonderful weekend! Happy Stamping! Happy Friday everyone! I'm going to 2 baby shower tonight. I was able to make some cards last night and it was good to be able to stamp something. It is a combine shower for a baby girl and a baby boy. I made this card for the baby girl. I made few "thank you" cards for the mother to use. The "thank you" cards matches the baby card. They are the same layout cards but just the background papers are different. My daughter Faith loves candy corn so I made her a box to hold her candy corn. I made one for Hope and Jarod too. I'm not a fan of candy corn but I love the candy corn box. No calories! That's the best part! 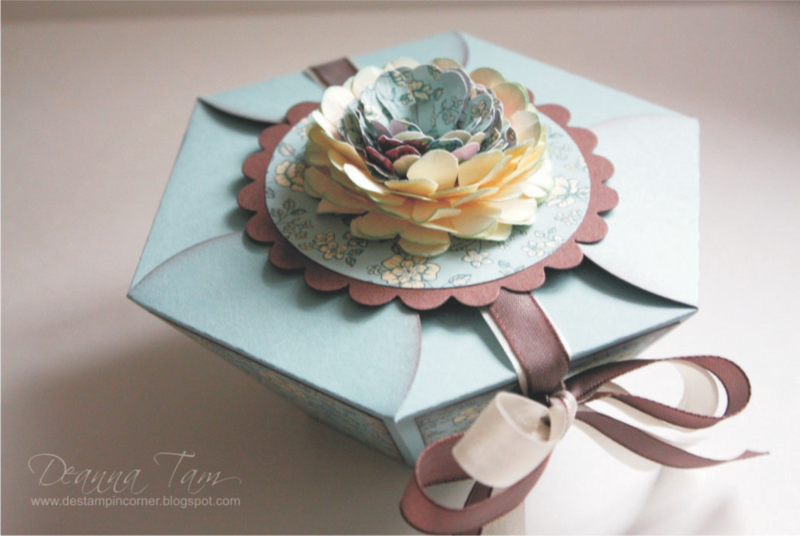 I used the Petal Cone Die to make the box. It took a few tries to get the right measurements but I finally got it. 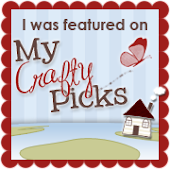 If you have been following my blog for awhile you know I love the Petal Cone Die that Stampin'Up! use to sell and I use it a lot. Sorry, no tutorial for this box. I don't get around to do tutorials anymore. Hello, stampers! Another fall card for you. I was trying to make a card with the swirly on it but it didn't not turn out the way I've envision. It still looks good though. Because I moved my stamps to a different part of the room I couldn't find a certain stamp that I wanted to use. I found the Baroque Motifs stamp set instead. It has a swirly stamp in it so it works out too. The leaves are die cuts. I cut them out and then sponge them. Tied the leaves with a twine at the stems and then adhere them onto the card. Fast and easy card. Hello, stampers! Summer season is almost over and we're into the fall season soon. I love fall. I love the leaves when they turn to different shades of colours. Everywhere I go there is beautiful colours around me. That's the beauty of God's creation. Just thinking about fall gives me the inspiration to make this card. I used the leaf and acorns from the Gently Falling stamp set, Weathered stamp for the background and the Because I Care stamp for the sentiment to make this card. Very simple. Hope you like it. Have good day! Happy Stamping! Hi, stampers! Happy Labour Day! Look what I found while cleaning and moving my stamping supplies? A Joseph's Coat technique card front I made a while ago. I finally made it into a card and added a "happy birthday" sentiment to the card. I made mine in blue instead of the multi colours the technique ask for. You can view the Joseph's Coat technique tutorial here.